How to get rid of fruit flies? I see people often asking similar questions whenever it comes to continually avoiding dwelling swarm of fruit flies and gnats. Most common infected places are fruits in open, indoor potted plants, open trash bin, drainage, dirty dishes and in fact any damp area. 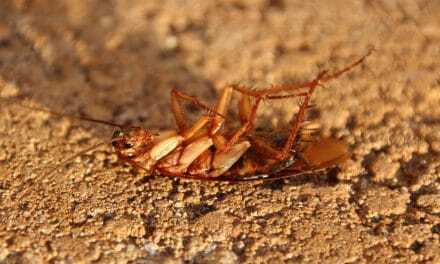 Pest control could kill them all but usually, a few home remedies, such as apple vinegar cider mixed with dish soap, over ripped fruit wrapped with pierced plastic cover, Red wine trap, mashed banana trap, etc., would be sufficient enough to kill or trap fruit flies and gnats. What are fruit flies and gnats? Gnats are small flying insects which are commonly found near damp areas such as drain, trash bin, low-quality wet soil, drainage system, etc. Gnats are black and cannot be detected from a distance. Gants are low fliers. Whereas, Fruit flies are little bigger than gnats and appear brownish because of their brown head. Also read: How to get rid of house flies? 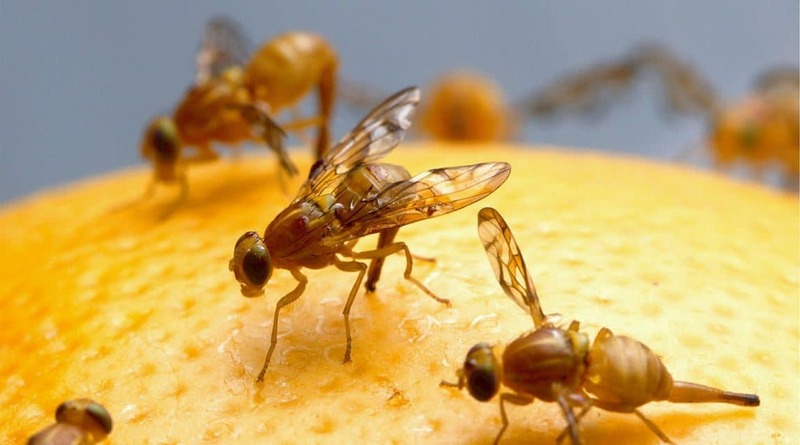 Fruit flies are commonly found on fruits which are over ripen. Sometimes, a healthy-looking fruit in the grocery store may have fruit flies hatched eggs all over it. Knowing or unknowingly, you bring them home where eggs hatch into fruit flies. The smell of vinegar attracts fruit flies. You can take apple cider vinegar or any ordinary vinegar, which are commonly available in the home. A few drops of dish soap in the vinegar will help in breaking the surface tension. Fruit flies will glide in the solution and will never come out. Also read: How to make a fly trap? Pour sufficient amount (about a small cup) of vinegar in the container. I prefer glass bowl since they are easy to clean. Add a few drops of dish soap to the bowl. Now place the container near the area where you expect fruit flies. Usually, a kitchen is the best place to start. Wait for overnight or so, and you will see a swarm of fruits flies drowning in the container. Vinegar tends to evaporate over time. So, do not forget to top it up time and again. Whenever, you will feel that there no more flies, clean it off nicely. Still, I would recommend you keep the container out of reach from children. Do you know that Red wine too attracts fruit flies? Now, this is heads up for you to avoid keeping your leftover Red wine in the open. On the other side, it also creates an opportunity to kill fruit flies. Let’s see how. Also read: How to make a flypaper? Take leftover Red wine in a small bowl. You can even use the wine bottle. Add a small amount of dish soap to the bowl. You can also choose not to add dish soap. In this case, wrap up the bowl with a plastic cover and pierce holes with the help of toothpick or fork. Fruit flies will go inside from these holes but won’t be smart enough to come out of it. Now place the container near the infected area. Wait for overnight and let the magic works for you. There is no need to use expensive wine. Clean the bowl nicely when you see no more fruit flies. Pour warm water into the container if you find any live fruit fly. Warm water will kill them all. Here in this process, we are putting fruit as bait. Gnats love rotten or ripe fruits. I would recommend you take over ripen fruit over rotten one to avoid the foul smell. Keep the over ripped fruit inside the bowl. Use fork or toothpick to pierce a few holes in the plastic covering. Now place the container near the infected area and wait for some time, usually overnight. Fruit flies are not smart enough to come out of small holes after they go inside in search of fruits. Do not let the fruit to rot since it will create a bad odor. Once you sufficient gnats or fruit flies trapped inside the bowl, pour warm water into the container to kill all fruit flies. When you talk about fruits, banana is the delicacy of any fruit fly. You can follow above method and just replace the over ripen fruit with mashed banana. It is an excellent homemade trap for gnats when you do not have over-ripen fruit with you. How to prevent fruit flies and gnats? Gnats and fruit flies can transfer pathogens or infections from contaminated places. They tend to taste as they walk on anything. It is needless to say how much it could harm you if they sit on food items, fruits or even plants. 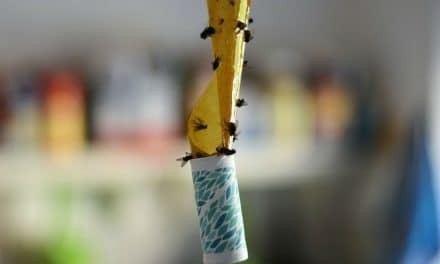 But there are a few things which you can follow to get rid of fruit flies and gnats. Be cautious while you buy fruits or vegetables from any grocery store. If you see any fruit flies or gnats around fruits, then I would strongly suggest avoiding even the most fresh-looking food around the infected area. A fruit fly usually hatches 500 to 600 eggs, and it is highly possible that your chosen banana or apple might have those eggs over them. You can keep your kitchen and house neat & clean in many ways. Make sure to clean up the dishes and utensils after you are done eating. Do not keep used plates in the open for overnight. Also, do not leave leftover juice and wine glass in the open. They also attract fruit flies and gnats. Make a habit to throw away trash bin bag on a daily basis. Always keep trash bin with a lid so that you can keep it covered at all times. If you are keeping an indoor plant and notice gnats around it, then it is high time to change the potting soil. A low-quality soil always sends an invitation to gnats. Also, a high-quality soil will be fertile for the plant. Check on water leakage especially in areas like kitchen, bathroom, toilets, etc. Make sure that you do not have wet spots in and around your home. Fruit flies and gnats dwell and grow in moist areas. NextHow to Activate Incognito Mode in Different Browsers?